ChristianAudio is offering an ABRIDGED version of Dostoevsky’s magnificent novel The Brothers Karamazov. The one chapter you don’t want to miss is chapter 5, “The Grand Inquisitor”, which tells the story of Jesus appearing in the 14th century town of Seville, and his arrest by the Cardinal of Seville. The Cardinal has a lengthy monologue in the dungeon explaining to Jesus how the church has corrected the failure of Jesus in reaching the people. This is a very insightful narrative, and incredibly relevant for the evangelical church today, which has turned to the things of the world to reach people (such as psychology and business models) and rejected the clear commands of Scripture. Have you heard of Jonathan Park? If you haven’t you’re missing one of the best resources available for teaching kids science, apologetics, and the flaws of evolution. 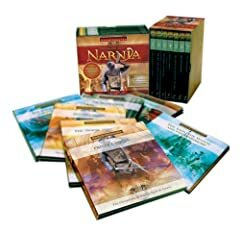 I purchased the entire 6 volume set for my kids this Christmas. We’ve loaned these out to friends and family, and in every case not only do the kids love them, both parents love them. They are fast paced radio dramas about an evolutionist turned creationist whose entire family becomes involved in building a creation museum and interacts with the scientific communty. It’s sort of a Nancy Drew meets Ken Hamm. 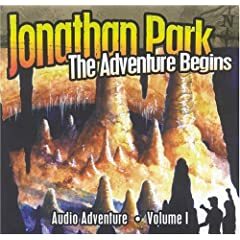 There is a Jonathan Park website that gives more information and has short excerpts of the radio dramas. Check out this behind the scenes video. I can’t give this a stronger recommendation. The real beauty is that there are many difficult scientific concepts that are masterfully explained in a way that even your kids will understand. You will learn more about Creationism and defending it than you would in most conferences and seminars. Sound far fetched? Get the free download and listen to an entire story. This is a fantastic tool that will equip you as well as entertain. My kids are already on their second go around through Jonathan Park.